I am very reluctant to destroy this file, and uncertain whether to include it with the Family files. I find it very interesting, but perhaps it is only me. My mother, Sophie Chole, nee Klisch, kept an article in an old 1928 Polish newspaper written about her brother, my uncle, Capt. Volodymyr Klisch (Ukrainian spelling). She did not know the real story behind the story — that almost happened. I had the article translated. My mother held the theory that one of the reasons the Poles stopped their plan to have Capt. Klisch make a solo flight across the Atlantic Ocean was that, perhaps, if the pilot was successful, the Poles were concerned that the focus would be on the Ukrainian pilot, Capt. Klisch, rather than on Poland. This was before Col. Lindberg made his successful, historic solo crossing. There was no love lost between Ukrainians and Poles at that time. The story of the proposed transoceanic flight over the Atlantic that was to set out from Europe to America on a plane manned by Folish airmen is already pretty familiar to our readers. The enterprise was to be financed by a Polish-American commmitte set up in Chicago, the airplane was built by a renowned Italian aircraft factory CAPRONI near Milan, and the flight was to be operated by the well-known Folish civilian airlines pilot, Mr. Włodzimierz Klisz, who was to be the pilot, and by Cpt. Adam Kowalczyk as navigator. All through the past year, the press both in Poland and in America had been issuing communiques, based on briefings by the Chicago committee, about the progress of the preparations for the flight as well as the probable dates – which were continually being postponed further and further. That by itself could be quite understandable, seeing they had to wait for suitable atmospheric conditions over the Atlantic Ocean. The flight was to take off at Ealdonell in Ireland, where the airmen were to arrive from Milan, already in the aircraft that was intended for the great flight. At last, towards the end of June, it appeared from the briefings that had continued to pour in, that the preparations for the flight of the aircraft – which had been named „Polonia” – were in the [final] stage. Tests…. [some words missing] intended for the flight, after which results, were to be installed …. engines…. already for the flight. Also the Italian press had already printed [information] about both the aircraft and the pilots being ready. With the final moment close approaching, a press correspondent from the [Polish daily] „I.K.C.” was sent to Milan where he contacted Mr. Włodzimierz Klisz and the chairman of the Polish- -American committee, Mr. Adamkiewicz. At that time the decision was that the airborne journey of the „Polonia” would almost certainly start on the fourth of July, the date of the national holiday in America – although naturally everything would still depend on the weather conditions over the Atlantic. However, in the course of July an unexpected and sensational change occurred in Milan. Mr. St. Adamkiewicz, present there as the chairman of the said Committee, dissolved the contract with Cpt. A. Kowalczyk on account of insufficient diligence in his preparations for the flight. Thus the position of navigator and possible second pilot on the „Polonia” became vacant. Mr. Adamkiewicz travelled to Paris where he managed to persuade an eminent Polish airman, Lt. Kalina, who was there at the time, to come over to Milan and examine the technical condition of the „Polonia” in terms of its fitness for the task ahead. It became obvious then that the flight of the „Polonia” that year was now impossible. This was even more evident when it turned out that the engine factory which had installed the engines that were to take the aircraft on the big flight, had supplied an engine type that was different from the original one and which failed to pass the test. The necessary constructional modifications to the aircraft itself, which Caproni were willing to undertake, required a longer [period of time]. Seeing the futility of the situation, Mr. Włodzimierz Klisz left Milan and came back to Poland. On his way back, a week ago, Mr. Klisz came by to visit our editorial office and filled us in on various details which show the undertaking could not go ahead. 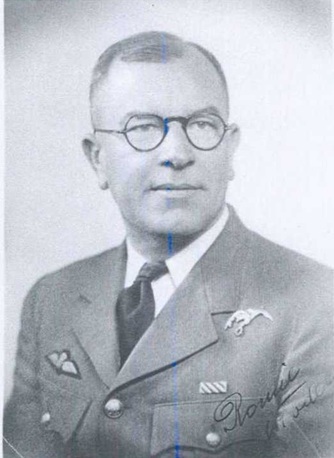 He presented some original documents, including a copy of the statement made by Lt. Kalina dexscribing the particular technical deficiencies that made the „Polonia” in its present state unfit to undertake a flight across the Atlantic. This was quite a sensation – but of a rather vexing type, like everything in that whole story. However, the details of it must ultimately find their way to the Polish public, which had for such a long time been tantalized with exciting prospects of a transatlantic flight of the „Polonia” manned by Polish airmen. The technological processes carried out in Milan were directed out of — America! – and finally, that the same Committee had placed the most important job of technical preparations for the flight and the responsibility for drawing up a relevant contract with Caproni, in the hands of Mr. M. Nowiński, a Polish-American journalist, while the pilot who was to man and direct the flight had no say in the construction of the aircraft, this despite the fact that he was present in Milan, whereas Mr. Nowiński remained in America. The above details alone are sufficient to explain the reasons for the failure of the enterprise. In January 1923, I was approached by Mr. Nowiński, represent¬ative for Poland of a Chicago committee calling itself „The Flight of Captain Adam Kowalczyk”. He showed me a contract signed between Mr. Nowiński, Col. S. Zahorski, and Cpt. Kowal¬czyk, according to which the latter two were to undertake a transatlantic flight, and he suggested that I should partici¬pate in the flight as pilot. Mr. Nowiński made it clear that Ćpt. Kowalczyk did not have the adequate qualifications to perform such a difficult flight and that therefore I would have to take on the responsibility of acting as first pilot. On August 22, 1928 I signed the contract whereby I became the „commander of the flight and of all the technical preparations leading to it”. Mr. Kowalczyk was not informed about the contents of this contract. I was to learn later on that the committee had previously signed an almost identical contract with him. After signing the contract, I was granted open leave of absence by my authorities at the Polish Airlines „Aerolot”, and I set out for Milan to direct the construction work in preparation for the flight. As early as February 1928 Mr. Nowiński had already signed a contract with Caproni for delivery of an airframe adapted for transatlantic flight. The Committee did not inform me about the contents of that contract, section б of which stated as follows: In all matters pertaining to the construction of the airframe, as well as in any other questions that may arise in the course of the construction process, delivery and designated purpose of the aircraft, Caproni Company are to refer to Committee Representative, Mr. Nowiński, who has the exclusive right of decision-making in all such matters. That section of the contract deprived me of any possibility of intervening on essential points of construction in the building of the airframe. So, Caproni manufactured the airframe according to the contract, which contained a number of cardinal deficien¬cies. The specifications stipulated that two 600 hp- Jupiter engines should be fitted into a „Caproni 73” airframe. Deeming such engines inadequate, I requested that four 220 hp. Wright engines be installed instead. Since the Committee did not have sufficient financial means at their disposal, Mr. Nowiński drew up a supplementary contract, based on which the factory fitted the airframe with four Isotta Fraschini engines 250 hp. each. This contract made no provision for a difference in load, even though the engines, besides having considerable weight, were also noted for high fuel consumption. The contract provided for 4,000 kg. load of gasoline, which would have been enough for the flight if using the Wright engines, counting a consumption of ca 30 kg. fuel per hour, per engine. Tests with the Isotta Fraschini engines, however, showed them to use ca 53 kg. per hour each. Tank capacity was then increased to 4,532 kg., but even that would not be enough to cover the distance between Baldonell and Newfoundland, which is 3,500 km., plus contrary wind of 5 m./sec. In the best of circumstances, with engines revolving at 1,700, that amount of fuel would suffice only for 26 hours of flight at a speed of 147,4 km/hr, without counting the wind factor. In fact, considering inevitable deviations off course and the effect of 15 km/sec. head-on wind, translating, over the 26 hr period, to an equivalent of 1,400 km. wind, the total distance to be covered would amount to 5,425 km. It should be noted that such theoretical calculations tend to change for the worse in practice since an overloaded aircraft will not attain the normal speed during the first hours of flight, and the engines would have to work at full rate. For precision’s sake I must note here, that while Isotta Fraschini had assured us that their engines would burn 900 gr. fuel per kilometer, it turned out during testing that they really used an average of 1,150 gr. After the testing was over, Isotta Fraschini supplied the flight engines which, as opposed to the test ones, possessed a power of 275 hp. with б atm. compression and greatly increased fuel consumption. In spite of my insistence, the company did not think fit to increase the cooling installations to match the increased power, not to mention the fact that excessive compres¬sion is inadvisable on such a long flight. The effects of these deficiencies became evident during the test flight with the new engines in August of this year. Notwith¬standing their higher power, the new engines gave but minimal increse of speed. On the other hand, the temperature of the engines at take-off with a load of ca 2,890 kg. (plus 4,500 kg. weight of the aircraft itself) exceeded 100 degrees Celsius. After reducing the rate to 160 revolutions, which was the rate at which the 9 hour flight had been made, the temperature fell to 71-73 degrees for three engines and to 77 for the fourth. Oil temperature for three engines was 76 degrees, and 31 for the fourth one. After seven-and-a-half hours, the left front engine ceased to perform normally (shooting, flame in carburettor), and after fifteen minutes the electrical installations stopped functioning. This test proved clearly that the change of engine type cannot have a positive effect on a transatlantic flight, whereas testing with the use of flight engines is impossible due to possibility of their fatigue. Apart from the tests, the flight between Milan – Warsaw – Baldonell itself would mean 30 hours operation for the engines. That would create the necessity to change the engines prior to take-off from Baldonell. Caproni offered to install tanks that would hold enough fuel for the transoceanic flight. However, quite apart from that, there also appeared the necessity to install radio and navigation equipment, as well as other instruments necessary for the navi¬gator’s operations. The time required to execute all the above tasks puts the chances of making the flight within this year out of the question. As a result, the flight Committe, a body whose chief interest is material gain, demanded that Caproni refund the monies paid out to them under the contract. Onder the circmstances, seeing that there was no chance that the flight could go ahead before the end of this year or even in spring next year, I came to the conclusion that my mission was over and [so I set out on a return journey] to Poland, to return to my interrupted duties [ at the] Polish Airlines. JA yestem BARDZO dumny ze artykol o moim legendarn kuzniesie sie ukazal.